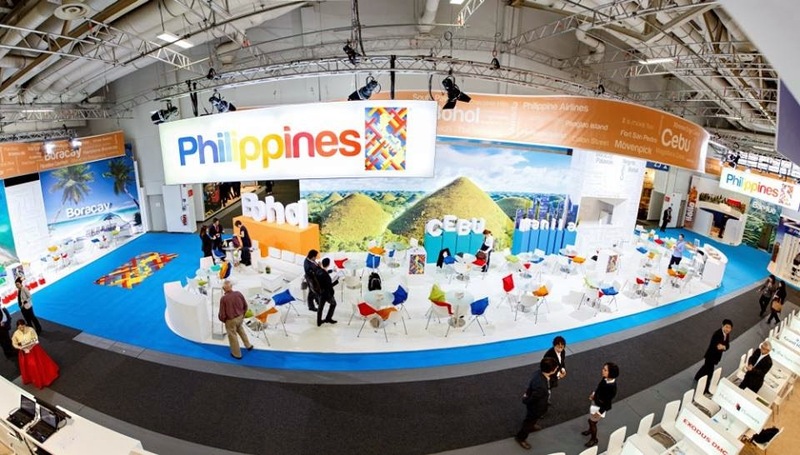 THE Philippines successfully participated in this year’s ITB Berlin (Internationale Tourismus-Börse Berlin), considered the world’s leading tourism and trade fair, which could give massive European exposure to tourist destinations. In an interview, Domingo Ramon Enerio III, chief operating officer of the Tourism Promotions Board (TPB), an attached agency of the Department of Tourism (DOT), said the Philippines booth had a bigger space this year at 270 square meters, allowing more Philippines tour operators and travel participants to join and sell more to German and European buyers. “Though the booth was smaller in size compared to Thailand’s and Malaysia’s, it attracted so much more positive feedback for being spacious, fresh looking and conducive to business meetings,” he said. Enerio headed the 50-man Philippines delegation to ITB Berlin held from March 5 to 9. The delegation was composed of 27 tour and travel companies, including Philippine Airlines, which participated in the tourism event for the first time. It also included hotels and resorts, representatives from the local government of Bohol, the Philippine Embassy in Berlin and members of the House Committee on Tourism, headed by its chairman, Rep. Rene Lopez Relampagos of Bohol. The TPB chief said other provinces and major Philippines destinations were strongly represented and promoted at the ITB, such as Palawan, Boracay, Cebu, Manila, Iloilo, Negros Occidental and Banaue. The Philippines made a splash at the recent ITB Berlin, the world’s leading travel fair, held from March 5 to 9. A 50-man Philippines delegation attended the event. It was led by the Tourism Promotions Board, various tour and travel operators, hotels and resorts, as well as representatives from the Bohol local government and members of the House of Representatives Committee on Tourism. This year’s Philippines pavilion was 270 square meters and allowed more Philippines sellers to promote their respective establishments and the Philippines as a destination. According to a news statement, ITB Berlin received a 4-percent increase in trade visitors and a larger business volume, estimated at €6.5 billion this year. The TPB, formerly known as the Philippine Visitors and Conventions Center, is the marketing arm of the DOT and tasked with marketing the Philippines as a prime tourist destination to local and international tourists. The DOT is keen on attracting more tourists from Europe, especially since the European Commission ban on travel to and from the Philippines had been lifted. For 2014, it has identified new opportunity markets in Europe, such as France, Switzerland, the Netherlands, Sweden, Norway, Italy, Spain and Russia. Together with existing key markets in Europe, such as the United Kingdom and Germany, the DOT hopes to generate a total of over half a million visitors from Europe this year. The DOT is targeting at least 5.7 million foreign visitors this year, and 10 million foreign visitors by 2016.